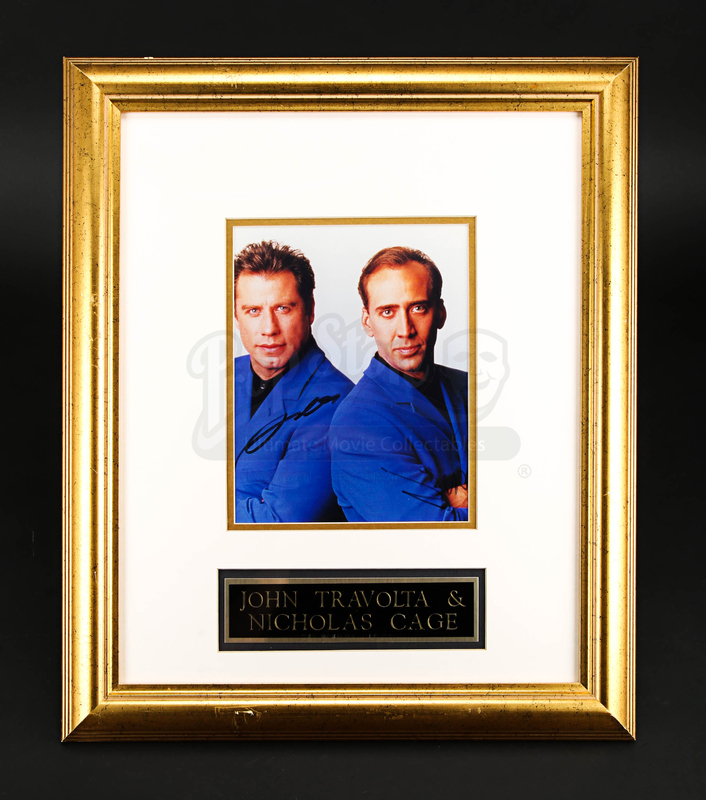 A signed and framed photo of John Travolta and Nicholas Cage, the stars of John Woo’s 1997 action film Face/Off. 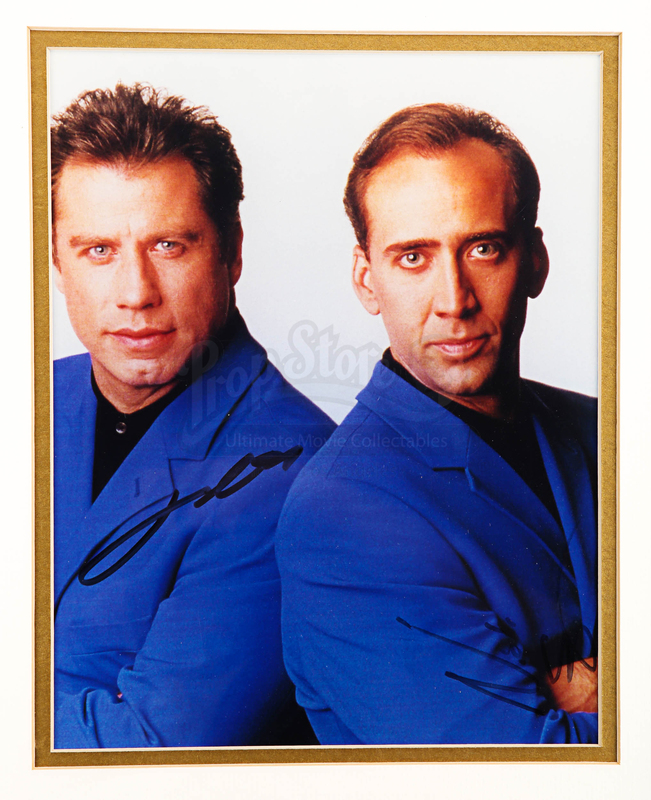 Sean Archer (John Travolta) is an FBI agent who goes undercover as super-villain Castor Troy (Nicholas Cage) using a cutting-edge facial transplant surgery. 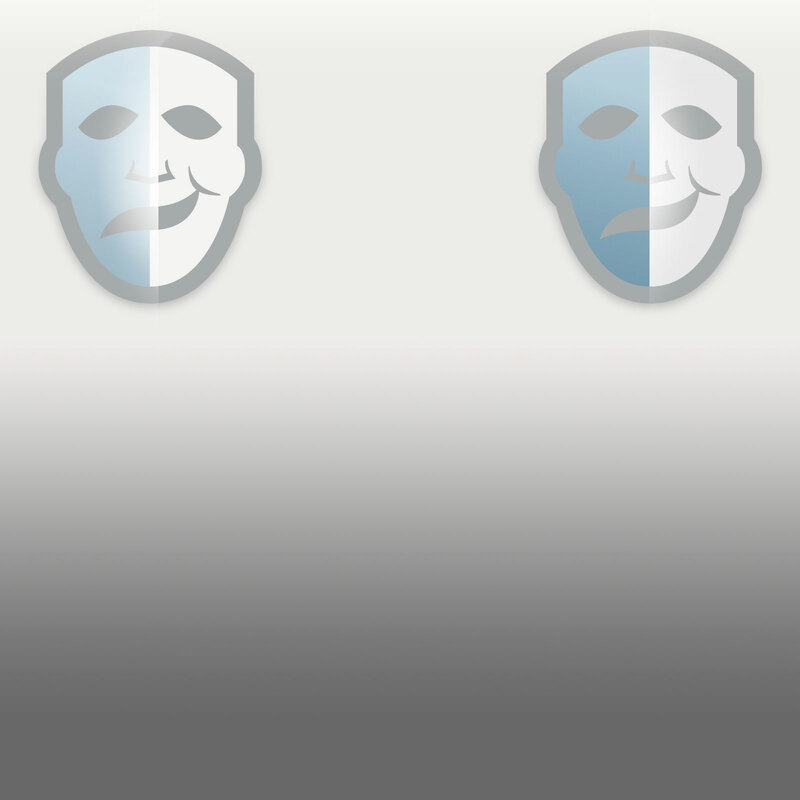 But Castor wakes up after the surgery, takes Sean’s face, and goes out to cause some mayhem. 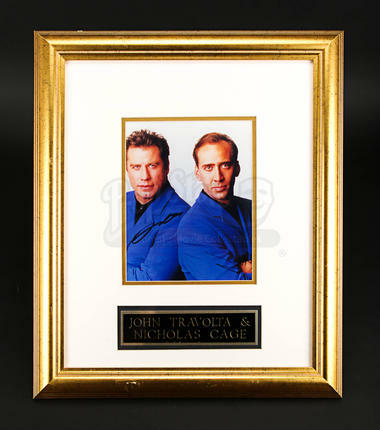 This photo of Travolta and Cage has been signed by both actors in marker pen and set in a gold-coloured frame. 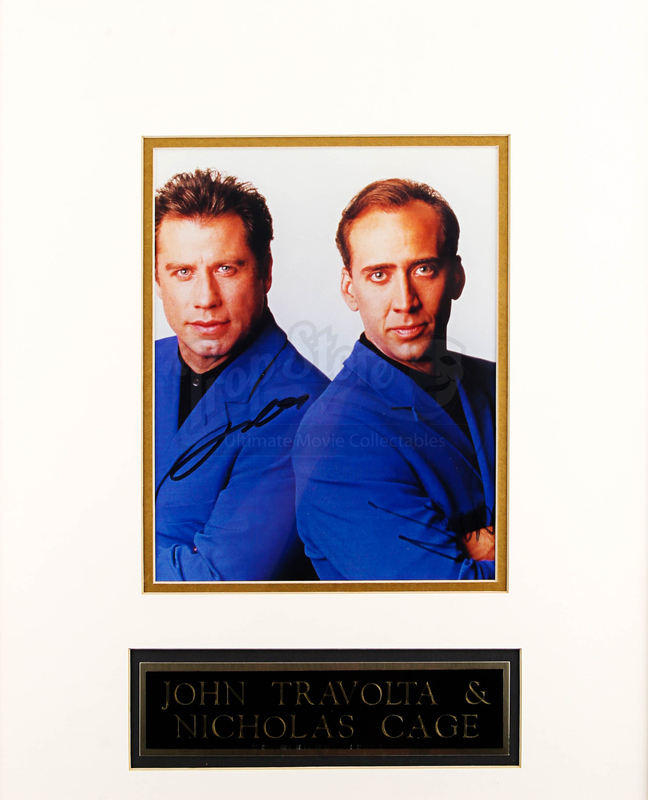 The actors’ names are beneath the picture in a little plaque. The piece shows some wear from age and storage, including some scratching on the frame, but it remains in an otherwise good condition. Materials: Ferrous Metals, Card, Wood, Glass.